Without Roots was a Sci-Art exhibit showcasing larger-than-life models of plant-root cells. 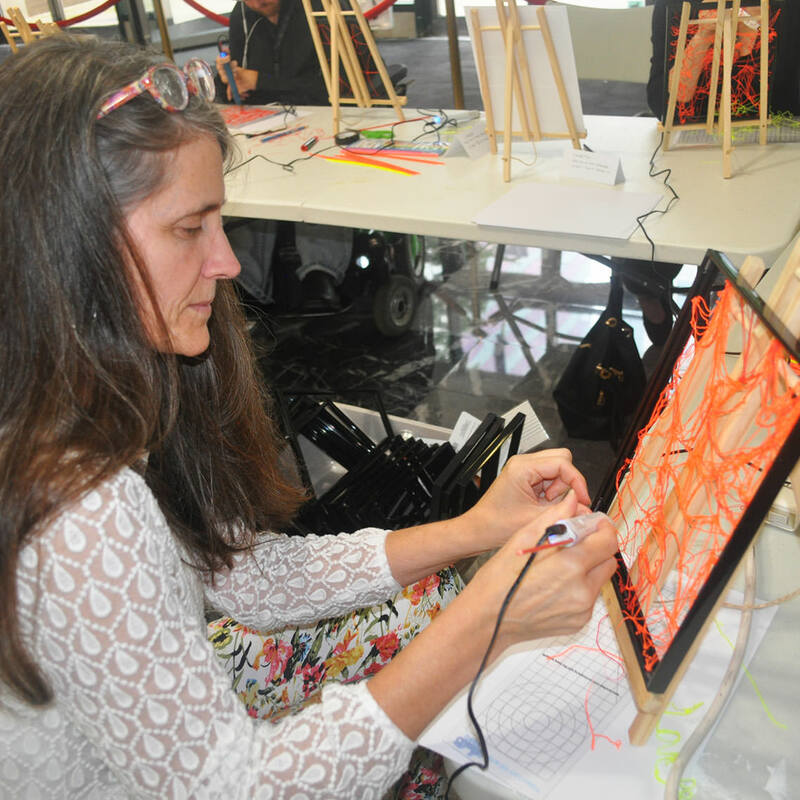 Using the 3Doodler Create+ Pen, participants explored the science of plant biology through a tactile experience. We spoke with Dolores Bartholomew, artist, scientist, and educator from the Pennsylvania Academy of Fine Arts, and host of Without Roots, to show you how this inspiring event can be replicated in your classroom. Without Roots took place at the Esther Klein Gallery in Philadelphia between August 16th and September 29th. The exhibit featured a STEM workshop sponsored by 3Doodler. Without Roots explored how STEM education, through art and design, can present science in ways that excite both scientists and non-scientists. We used 3Doodler pens to produce “cytocells” or plant cell cytoskeletons. Each attendee was invited to create a miniature cytocell using the 3Doodler pen. We then connected each cytocell together, forming lateral roots. This created a truly visual example of “root communication” and how that contributes to the growth of plants. To better understand the cytoskeleton and its role in cells, students replicated the various parts that make up a cell, tissue, or organ to help them visualize and learn. How can this be incorporated into your classroom? Using images, explain the details of the subject matter (for example cells), and their functions. Familiarize the students with 3Doodler pens. Have them practice by Doodling related vocabulary words on their DoodlePads®. Check out tips for getting started here. Show students finished examples so they can visualize their goal. Next, have students design their own models using reference images. They can use a DoodlePad® to trace over printed images, adding layers to take their models 3-Dimensional. Once finished, ask each student to explain the science behind their model to help them integrate the knowledge further. Either split students into pairs to share their learnings, or have individual presentations. Last but not least, display the students’ projects for others to view! Exhibiting the models for others to see helps students feel excited about their work. 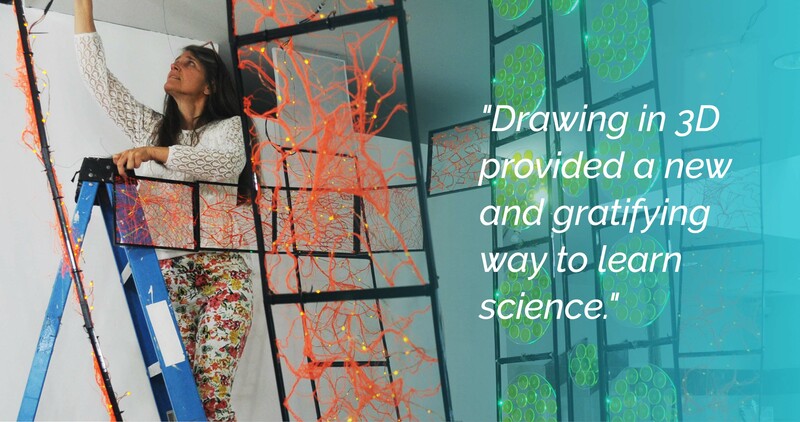 Learn more about how you can enrich the lives of your students with 3Doodler.